Welch’s music is stirring, urgent and pulsating. He has imbued his jazzy score with a perfect degree of exoticism that grows from memory rather than harsh reality. This is a sophisticated composition with a strong sense of place, built on solid musical values. Riveting instrumental work: The musicians were consistently magnificent. Ben Holmes on trumpet was especially notable. His stolid presence, which would have, inadvertently, been center stage had there been a conventional stage, grounded the evening. With flawless technique, he employed several mandrels to produce steady, penetrating and remarkably diverse sound. Joe Bergman, Chris Graham, Mark Utley and Joe Tucker on percussion and drums provided rhythmic support and crucial atmospheric detail. Ian Riggs was solid on bass guitar with foreboding but forward moving playing. And Here We Are points to the value of organizations like Experiments In Opera. This appears to be a work that is finding its way, or perhaps forging its own path, in the genre. It wholly deserves the opportunity to evolve that EIO has provided. There is abundant merit to the composition… this is an experiment that could occupy a place of note in opera’s future. First on stage were New York band Blarvuster. 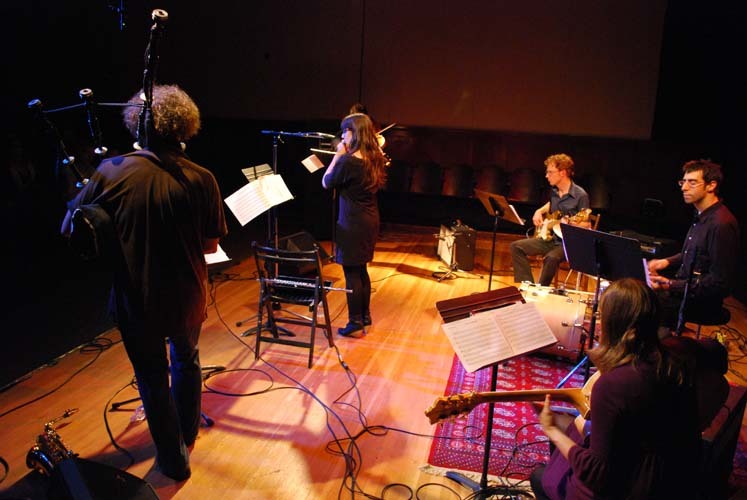 Fronted by accomplished piper Matthew Welch, Blarvuster is a chamber ensemble/rock band hybrid featuring Matthew’s multi-textural compositions and an ever evolving collective of experimental musicians. For tonight’s event, Matthew was joined by a core band of three – Will Northlich-Redmond (electric guitar) Ian Riggs (bass guitar) Brian Chase (drums). The syncopated opening of High Street soon gravitated towards a full-on freeform funk. It may sound and feel reckless, especially among the seasonal diddly overdose in a wintry Glasgow, but the timing is tight, and the craft undeniable as Welch & co. launch into one of his own compositions for pipes. Having warmed up his band, and his audience, Blarvuster moves on to the main event – The Fingerlock, and this is where exploration of the Piobaireachd begins in earnest. After a totally traditional opening, where John & Calum enter from the rear of the room, playing the central theme, Blarvuster insinuate their way into the general sound then open their funk machine wide. And the fun really begins. The music moves in peaks and troughs throughout their 30 minute exploration. Minimalist Phillip Glass-like cadences accompanied by Will’s guitar traversing a spectrum that ranges from a throaty rumble to primal scream, in a performance that exhibits a startling range, especially given the scarcity of pedal effects. There are snatches of conversation between pipes and guitar, or saxophone and guitar when Welch switches instruments. There’s a loose form that’s embellished and expanded by the band and directed (controlled would be too strong a word) by Welch using a combination of countdowns, gestures and probably telepathy. The Rock/Jazz fusion of the band is brought down to a minimum through the periods where Welch launches into a canntaireachd (the ancient form of vocalising pipe music), the free-form accompanies his equally uninhibited, intricate and tense variations – whether on pipes or on sax. Those labyrinthine meanderings themselves become increasingly complex towards the conclusion, with occasional stops, physical moulding of the sound as it escapes the chanter and a conclusion to mirror the opening, with John & Calum taking the Piobaireachd itself out of the room. Gorgamor The Giant Gecko closes the set with its Balinese influences, tight, tight rhythms and just a touch more canntaireachd (I think) for good measure. There’s no denying how well disciplined this band is. Timing is everything and it really is spot-on – every time, thanks to that supreme efforts of that rhythm section. Unsure whether I was enthralled or traumatised, I’ve sought out Balrvuster’s music since, and it’s kept me coming back for more. For Piobaireachd aficionados it could be either the rapture or purgatory, for less generically specific music fans, like me, it’s certainly something to think about. Despite the ever changing menu available to those who feast on the delights Celtic Connections offers, I’ve thought about it, listened to more, and find Matthew Welch’s singular experiments remind me of when I first heard Martyn Bennett try out something new and daring. Blarvuster isn’t an attempt to continue in the same vein, or to emulate Martyn’s work; but it’s just as exciting, just as daring. Just because it’s bagpipes doesn’t mean it’s trad; just because it’s Piobaireachd doesn’t mean it’s classical. No hand signals required. In his 90-minute-plus solo performance on Saturday night, Welch laid out his instrument’s contradictory capabilities, displayed its traditions and showed how its challenges — when faced with imagination, physical strength and mental concentration – can be transcended. 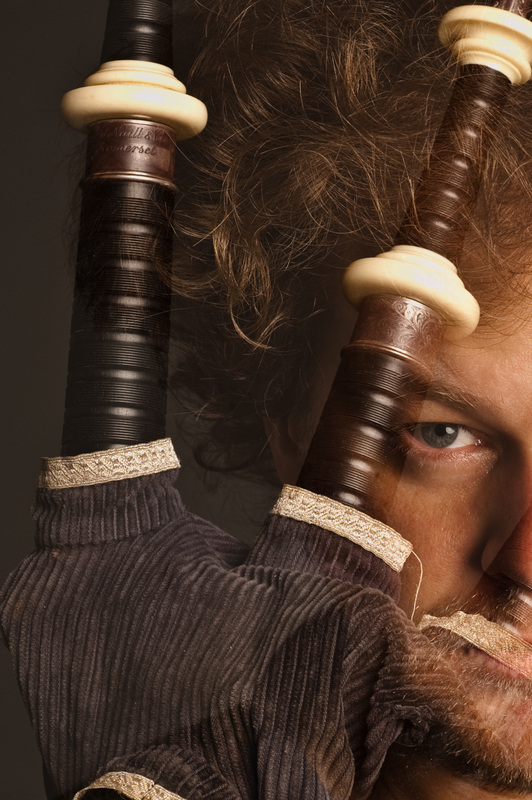 On Saturday (September 16), Matt Welch, accomplished performer on the Great Highland bagpipe, gracefully surfed over categories and starchy definitions as he served a banquet of dances, marches, and variations from the instrument’s traditional repertory, several of his own takes on these genres, as well as works by contemporary minimalist composers Philip Glass and Anthony Braxton. Explaining that traditional Scottish bagpipe music—for which the English term is pibroch—is the earliest manifestation of musical minimalism, Welch wove the old and the new into a seamless continuum. As Welch worked his way through early straightforward marches, reels, jigs, and even sophisticated competition pieces such as “Highland Wedding,” his thesis became clear: because the bagpipe’s foundational drone limits modulations and thematic development outside the tonal bounds of the drone, the basic building block of bagpipe music is the single phrase repeated over and over with nuanced rhythmic variations. Or the Gospel of Minimalism according to Philip Glass and Terry Riley. Inasmuch as the native habitat of the Great Highland bagpipe is the verdant Scottish moors, bringing such a sonically penetrating instrument indoors risked too much of a good thing in a contained space, but the large hall of Bread and Salt proved sufficient to accommodate Welch’s vibrant, unrelenting sonority. Among the Welch’s more engaging contemporary offerings, Anthony Braxton’s “No. 217” stood out for pushing the envelope by introducing more sinuous chromatic melodies and edgy bent tones. Although Glass’s basic five-tone theme in “Two Pages” (1968) did not color outside the lines, Welch unleashed the dramatic power of its unrelenting drive. Welch’s own boldly assertive “High Street” suggested urbane sophistication in its spirited variations. However, Canadian composer Michael Neale’s “Where Do Elks Accumulate?” proved less inventive than its clever title. Among Welch’s performing virtues I would include stamina—he played for over an hour and a half without a break—as well as technical and interpretive prowess that tamed an unyielding instrument to his will. If there were skeptics in the audience, I am willing to bet they were won over by his commanding performance. This solo recital by Matt Welch was presented by Fresh Sound on Saturday, September 16, 2017, at Bread & Salt, 1955 Julian Ave., San Diego. The next Fresh Sound program is slated for October 27, 2017, and will feature the Michael Dessen Trio in the same venue. Bagpiper Matthew Welch released his striking debut Ceol Nua just past the age of 25, and followed it up three years later with Dream Tigers, one of 2005’s best. The multi-talented New Yorker’s work is marked by the exploration of intersections between incongruous ethnic musical traditions. As always, his cross-cultural collisions on Blarvuster sound both excitingly novel and uncannily natural. On the first six tracks, Welch’s bagpipes lead his sextet through verdant Celtic terrain, buttressed by a rock rhythm section and peppered with Indonesian flourishes. 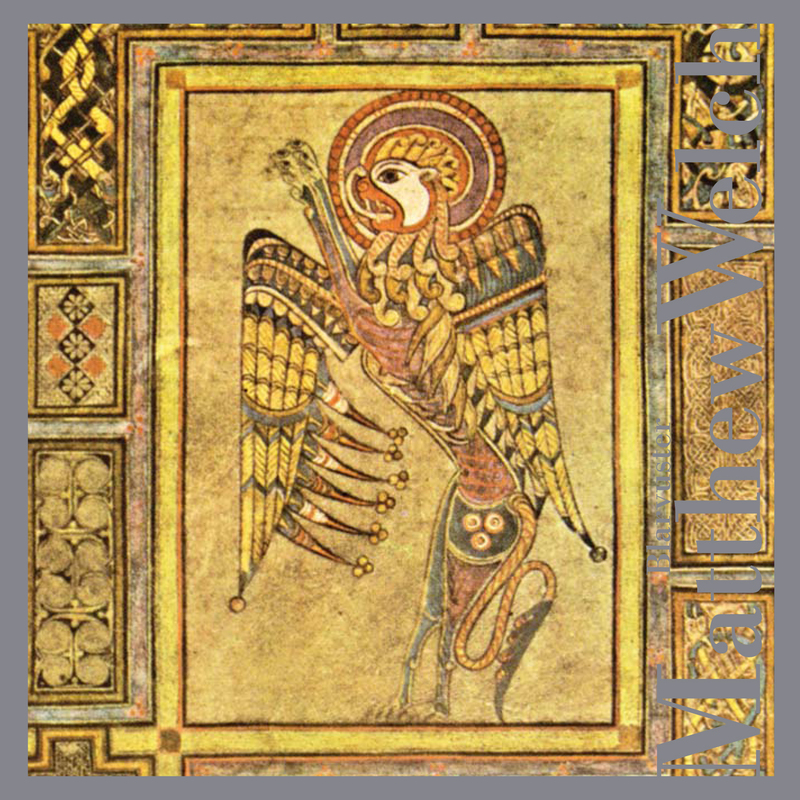 It’s Welch at his most straightforwardly melodic, the joyous arrangements fluidly serpentine, their beauty intricately woven like a Celtic knot. Welch’s debut as a vocalist, though, may provide the bumps in the road for some listeners. He sings wordless canntaireachd (a system developed to aid bagpipers in the communication of music without pipes at the ready), whose high pitch and nasal quality doesn’t mesh as well with the music as his bagpipes, though they add a nice bit of gristle to the smoother tracks. Blarvuster ends with Canntaireachd Masolah, a 30-minute Eastern-influenced opera in four movements. Welch’s canntaireachd meshes more organically this time around, and the music has a moody and mysterious air that communicates emotion with nary an understandable word. Welch’s music is equally appealing intellectually and aesthetically, and Blarvusteris another strong entry in an already impressive oeuvre.